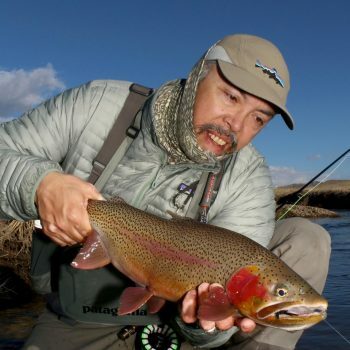 Few rivers in the world possess the combination of trophy trout, massive hatches and great dry fly water. While you don’t need a guide to fish the Missouri, it certainly speeds up the learning curve for the unfamiliar. 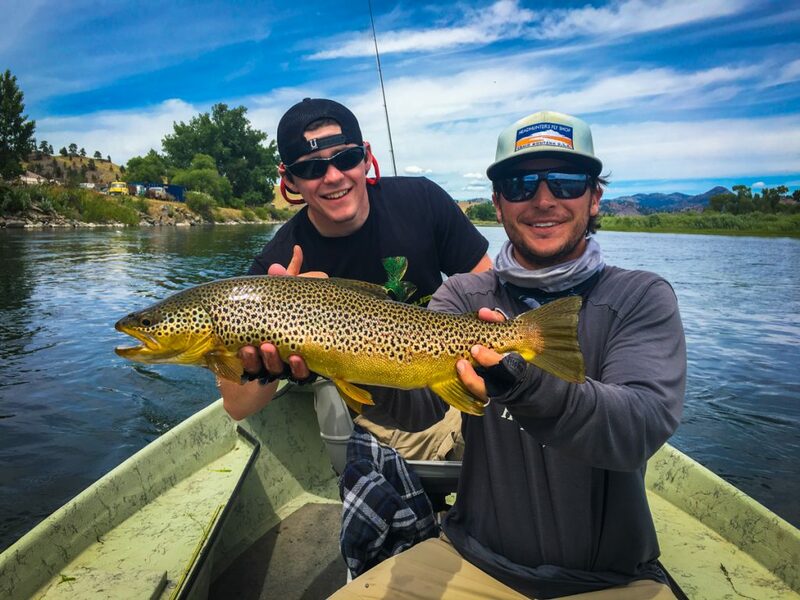 Experienced anglers have learned that a knowledgeable Missouri River guide helps them put more and bigger fish in the boat, and always have the flies and hatches dialed in. Our guide staff are all full-time professionals who spend hundreds of days each year fishing the Missouri River, and excel at both guiding and instructing for those looking to improve their game. We get as many positive comments about our shop staff helping book trips as we do about our incredible guides fish catching abilities! Our awesome staff will not only get you lined up with the right guide, but can arrange all lodging, answer question about dining options, where to get groceries, which airports to use and rental cars. If you have detailed questions about the fishing at different times of the year they can answer those as well. If you’ve never been on a guided trip, you should not be intimidated. Many first time customer are under the impression that guides spend every day of their lives fishing with the finest anglers in the world. Nothing could be further from the truth. We spend as much or more time fishing with beginning and intermediate anglers. A great guide can show a successful day to fishermen of any skill levels. Our guides are great. 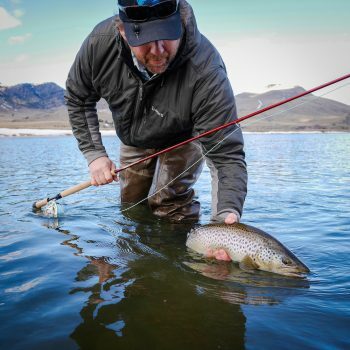 If you’re an experienced angler with a lifetime of fly fishing experience, our guides will exceed your expectations. Tell them what you would prefer in terms of technique, and they’ll take you to the right section of river at the right time. Many of our customers fish with the same guide year after year, and tell us that we have one of the best guide staffs they’ve fished with. Occasionally we run half-day trips when travel plans interfere with fishing, or when anglers feel that a full day is too much. We also offer guided jet boat trips with USCG Licensed guides to lesser fished sections of the Missouri River near Craig. Cancellation Policy: Deposits for canceled guide trips will be refunded in full with a 30 day or more notice. Cancellations within 30 days will forfeit all deposit monies. If we are able to re-book the guide, we will refund the deposit or apply it to a trip at a later date. If a trip is cancelled with less than 24 hours notice, the full price of the guide trip will be charged. Our guide trips go out in all safe weather and water conditions, therefore inclement weather, water levels or undesirable fishing conditions are NOT acceptable reasons to cancel or receive a refund. Trips cancelled by the guide or mutual guide/client decision due to unsafe weather or water conditions, state or federal closures, or other uncontrollable circumstances will have the entire deposit refunded. 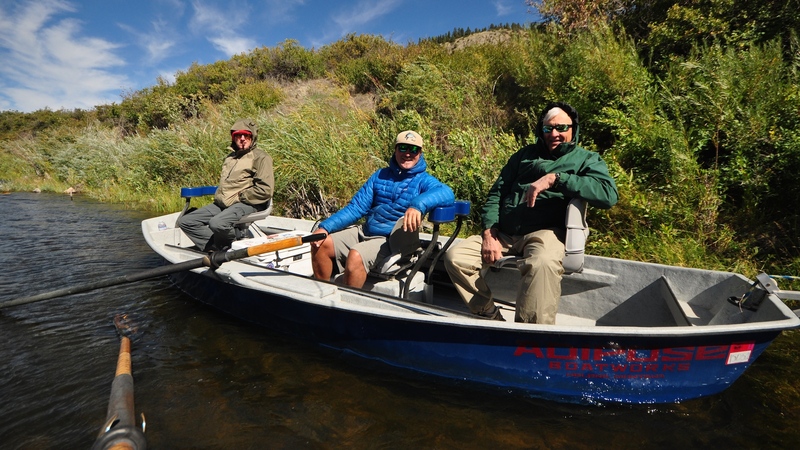 Our guide staff is among the busiest in Montana, and many of our guides are booked a year in advance. They are all professional full-time guides. They do nothing else except fish, eat, drink and think about catching more fish. They are all excellent instructors and know the river intimately. Energetic and hard working, they will put you into fish using all methods (they prefer the dry fly), and show you a fun and successful day. Ben has been with Headhunters from day one. He worked briefly as a shop employee, and has been our lead guide ever since. 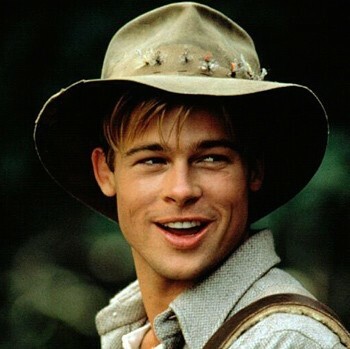 Ben is an intense angler with a wealth of fly fishing experience. He brings that knowledge to the boat every day, along with a strong desire to make his clients trip successful. Ben is an outstanding angler, whether chasing trout in Montana, Tarpon and Permit in the Keys or Steelhead in BC. 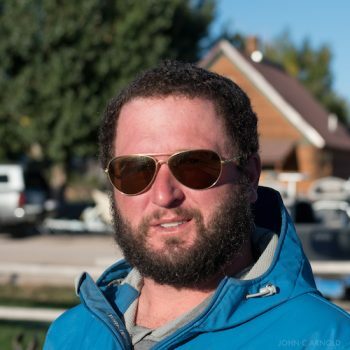 Brett is a nomad having traveled, fished, skied and guided all over the West. 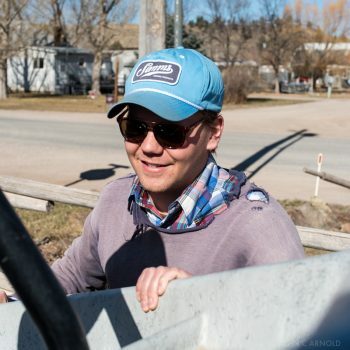 After a season away from guiding and working in the shop, Brett decided he had found his home on the Missouri River, and got back behind the oars. He brings an incredible amount of patience and knowledge to the boat every day. 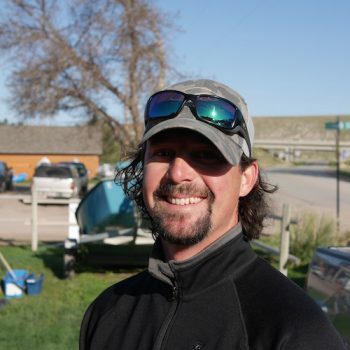 Brett is an excellent instructor, and enjoys fishing with anglers new to the sport, as well as advanced fly anglers. Shane came to us a few years ago as a member of our shop staff. He previously worked at a fly shop in Tennessee, and many of our customers recognize him from his time working at Mike Lawson’s Henry’s Fork Anglers. Shane is hard working and doesn’t let the details slip through the cracks. He’s a focused guide who enjoys his time on the water with clients, and catching fish comes first in his boat. A longtime Missouri River guide, Eric has nearly 30 years fo guiding experience. He began his career in his home state of Colorado, fishing the Arkansas and other east slope rivers. Eric moved to the Missouri River in 2000, and has been guiding here since. He has an extensive technical background, from Tailwater nymphing to stalking risers. Eric loves to travel and when he has a day off he and his wife April can be found exploring other rivers in the Rockies. 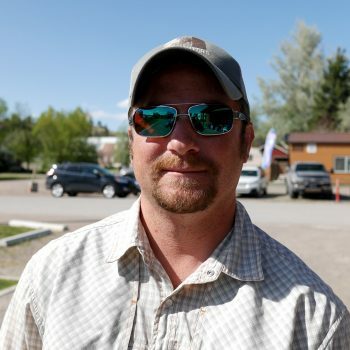 Kurt grew up in the region, and has spent his adult life working the Missouri, Blackfoot and other area rivers. He’s an excellent boatman and guide, who excels at finding fish. 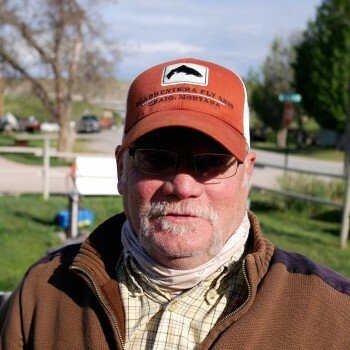 Kurt loves to explore, and has fished just about every river and creek in our area. He’s cool and collected in the boat, and knows the Missouri and Blackfoot Rivers intimately, having spent years showing anglers some of Montana’s best fishing. Lindsey splits his time between the Missouri River and his home waters in the Flathead drainage. An accomplished fishing and hunting guide whose career began nearly 30 years ago, he has spent thousands of days showing his clients some of the best hunting and fishing in Alaska and Montana. Lindsey has seen it all, and is an excellent teacher, knowledgeable angler and very consistent guide. Beth was raised fishing the Missouri River, and has been a part of the Craig community for years. Her patience, calm demeanor, and knowledge of the river are the result of years of fishing the Missouri with her family, and with many of it’s best anglers and guides. 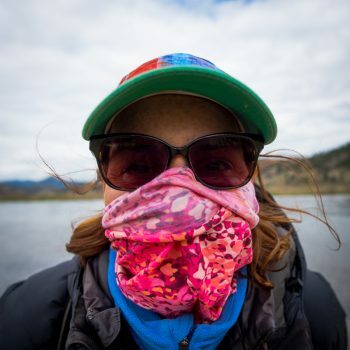 While the Missouri is Beth’s home – and trout her target – she has traveled extensively and loves to chase Steelhead in BC and Bonefish in the Tropics. Longtime Headhunters crew member Braden Lewis has made the move from the shop to the river, now a great addition to our guide staff. A biologist, Branden looks at the river, the fish and the insects through a scientific lens. Combined with his patience and teaching skills, your bound to catch a lot and learn a lot if you spend a day on the river with Braden. 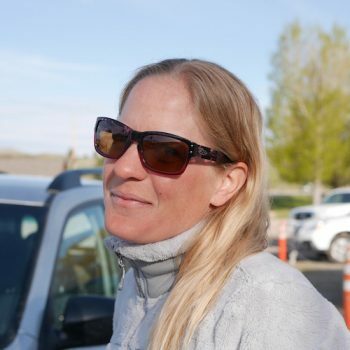 Whitney comes to us after a long career at world famous AK West in Alaska, where she was an integral part of a guide staff that pioneered spey fishing for King Salmon. Whitney is a 5 time Spey-Orama world casting champ, and considered one of the worlds best two-handed casters. In the autumn, Whitney heads to Idaho’s Clearwater to guide the fall run of Steelhead, followed by a winter guiding Steelhead anglers on California’s North Coast. After years as an Alaska guide, Jeff decided to head south in search of a longer season. “Parker” is one of our USCG licensed guides, and can show you a great day on lesser fished sections of the Missouri via his jet-boat. He’s dedicated his life to the search for Trout, Salmon and Steelhead, having guided at Lee’s Ferry, AZ, Alaska as well and Northern California, where he still spends the winter guiding Steelhead anglers. 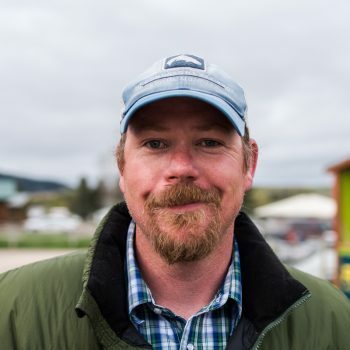 A longtime guide in the Helena area, Chad is a 5th generation Montanan and comes from a long line of outdoorsmen. His patient and calm demeanor combined with his background in education makes him both an excellent guide and instructor. 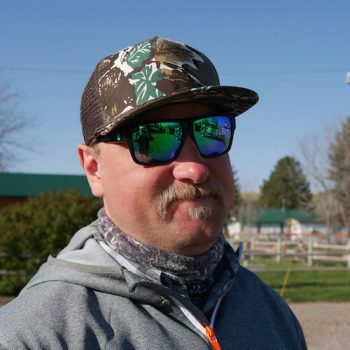 Chad is an avid hunter and teaches and coaches in nearby Ulm, MT. 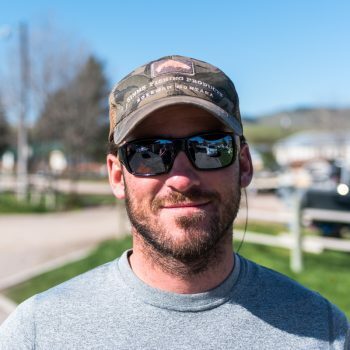 Max is a Helena, Montana native, and worked for us in the shop before migrating to the river as a full-time guide. Young and energetic, Max works his tail off each and every day to show his customers a great time on his home waters. 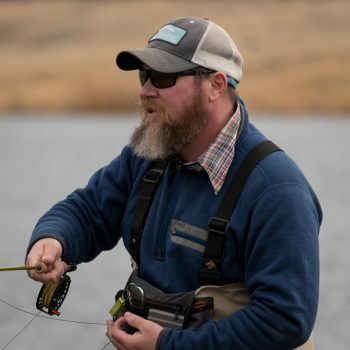 He grew up fishing the rivers and lakes of central Montana with his father and brother, and can teach you about more than just fly fishing in the Craig area. A native Montanan who grew up near the Missouri River in Helena, Stephen has proven that he’s one of the best young guides on the Mo’. He is hard working and his energy results in successful days for all of his clients. 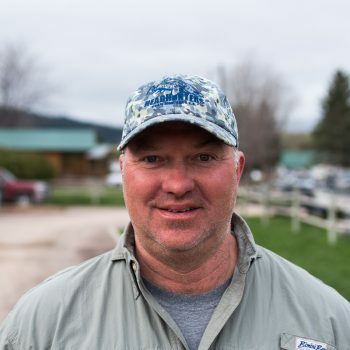 Like most of our guides he spends his time off fishing & hunting, and is very familiar with all of the waters in our part of Montana. 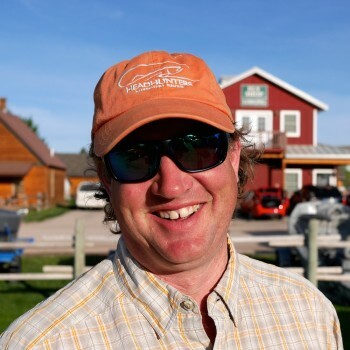 A longtime guide for both fly fishing and big game hunting in the Flathead Valley, Brent has recently moved full-time to the Missouri River area. Popular and often requested, he brings the hunting mentality to his fishing game, typically resulting in a successful day for his customers. We are excited to have his engaging personality, outdoor skills and fishing knowledge for the entire season now. 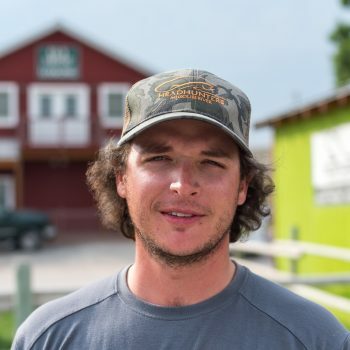 Mark is a co-owner of Headhunters Fly Shop, and a longtime Missouri River guide and outfitter. Mark claims the Missouri River courses through his veins, and you will not find another angler with more devotion to the Mighty Mo’, or more knowledge about it’s history, fish, hatches and people. Mark is a “teaching” guide, and spends many days showing his guests the intricacies of downstream dry fly presentations. John is the co-owner of Headhunters, and has been guiding for over 30 years in Montana, Idaho and Washington for both trout and Steelhead. John guides a few dry fly trips during the summer, but spends most of his guide days showing anglers how to search the Missouri River with a spey rod. HEY, MY GUIDE ISN’T LISTED HERE? Totally possible, and it happens all the time. The above guides all work primarily for Headhunters*, or do a substantial amount of their trips for us. They are part of what we consider our ‘core’ team of guides. You may – or not – know that most guides in Montana are independent contractors, and work for a variety of outfitters. Many of them prefer it that way. The group above cannot possibly handle all of our guided trips. When that happens, we call on a number of excellent area independent guides, many of whom are outfitters themselves. While they may only work a handful of trips for Headhunters, we have complete confidence in their ability to show you a great day.